Chicago dance-pop duo Gilligan Moss, comprised of childhood friends Evan and Ben, has a distinct style that fills the cracks between several genres — they are drawn to strange melodies, polyrhythmic percussion, and driving basslines. The project began when Evan released solo music to Soundcloud and caught a buzz with his single “Choreography” and a remix of Glass Animals’ “Gooey”. He asked Ben to join him on the road in support of Glass Animals in late 2015, thus setting the stage for the duo to begin writing and producing together. Their EP What Happened is due out on August 23rd. 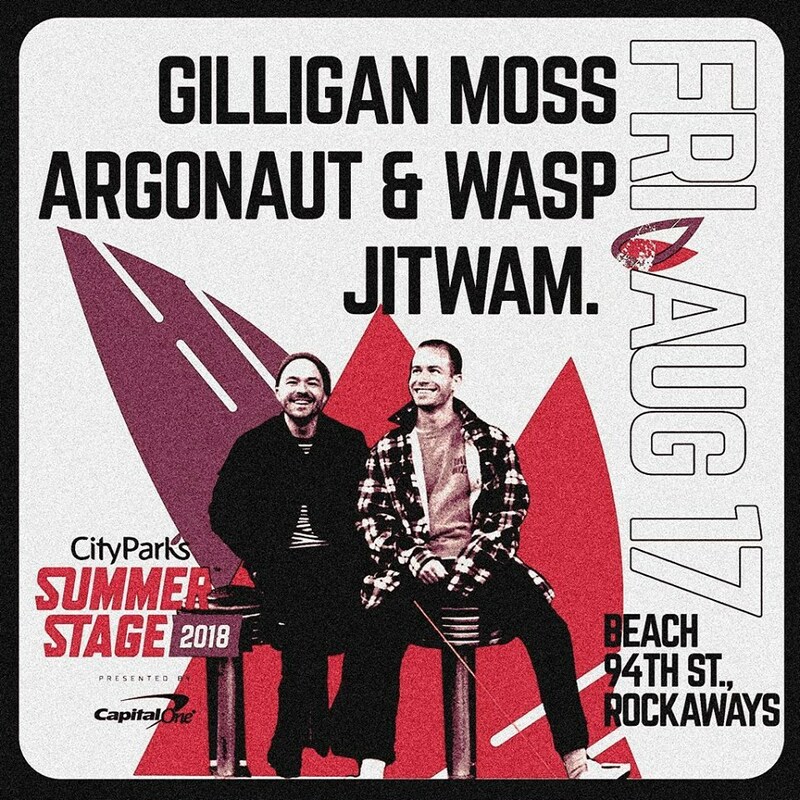 Also taking the stage is Brooklyn-based argonaut&wasp, who fuse indie, alternative, and electronica to create “body-moving” music and Jitwam , an improvisational producer and vocalist.